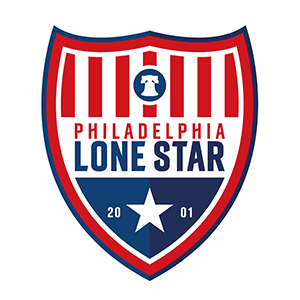 Stars in College: Willie, Watson, Dahn Shine in Weekly Recap | Philadelphia Lone Star F.C. Penn State Brandywine sophomore midfielder Daniel Willie led the way with eight goals and one assist. Valley Forge Military College sophomore forward Francis Watson scored a brace while Saint Joseph’s University sophomore midfielder Alvin Dahn scored his sixth goal and also had his sixth assist of the season during the week. Alvin Dahn (So., MF) scored a goal in the Hawks’ 2-2 tie vs. LaSalle on Wednesday and also had an assist in their 3-2 overtime win vs. Fordham on Saturday. Dahn leads his team with 18 points (6 goals, 6 assists) this season. Vinny Tasca (Sr., GK) started all two matches for the Wildcats during the week: the 2-1 loss at Jefferson University on Wednesday and the 0-0 tie at Post on Saturday, his third clean sheet of the season. Edward Slueue (So, FW) missed both matches. Ram Keller (Fr., FW) had an assist for the winner in the Builders’ 2-1 overtime win at Saint Mary on Tuesday but was powerless to help his side avoid a 1-0 loss at Ottawa on Saturday. Keller still leads his team with 24 points (9 goals, 6 assists) from just nine games. Deekai Gbonimy (So., FW) played in both matches for the Wolverines in their 3-2 loss vs. Cabrini on Wednesday and the 0-0 tie vs. Neumann University on Saturday. Daniel Willie (So., MF) had a great week with the Brandywine Nittany Lions where he scored eight goals and had an assist during the week. He scored four goals in the 6-0 win vs. PSU Lehigh Valley on Wednesday. He followed that up with a goal and an assist in their 6-0 win vs. PSU New Kensington on Saturday before wrapping up his perfect weekend with a hat-trick in the 10-0 win vs. PSU Hazleton on Sunday. Willie now leads his team in goals (15) and points (34) from 12 games. Gerardo Sosa (Sr., GK) missed the Berks Nittany Lions 2-1 loss at Morrisville State on Saturday. Theirno Diallo (Fr., MF/FW), Kelvin Siem (Fr., MF) and Amadou Kamagate (So., FW) had a week of rest after the Blue Jays’ match vs. Delaware County Community College was cancelled on Tuesday. Francis Watson (So., MF) is now on 13 goals for Valley Forge Military College after scoring a brace in the Cadets’ 4-2 loss vs. Middlesex County on Thursday. Aaron Keita (Fr., DF) had both assists in the loss on Thursday. Solomon Kamara (Fr., GK) saved a penalty during the match. Mohamed Tall (Fr., MF) also featured in the game. Season Record (2-3-1); Conference Record (1-2-1). Season Record (4-3-2); Conference Record (4-3-0). Season Record (7-1-4); Conference Record (5-1-2). Season Record (6-4-1); Conference Record (5-2-1).